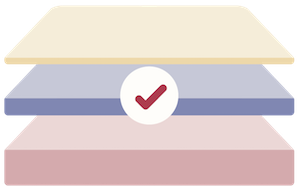 Below I’ll provide a quick overview of each of these Beautyrest categories and link to full reviews that provide a very in-depth look at each mattress and where you can find the best deal. NOTE: different stores will carry the same mattress at very different prices, so make sure to read my in-depth analyses before you make a final purchase. Materials will vary, but often included is aircool foam, gel touch foam, and air cool memory foam. All of these foams aim to reduce heat, and will vary in effectiveness in that regard. 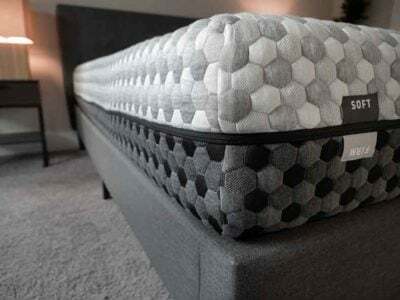 A queen mattress will be ~$800, but know this price will vary greatly depending on the features included and the location where you purchase it. The number of pocket coils will increase, ranging from 850 to 2000 depending on the specific model. This means that you should have even better support and comfort, and further reduce motion transfer. Foam will be aircool memory foam with micro gel touch, offering even better cooling, greater durability, and more comfort. A queen will now cost you ~$1100, with price again varying from this point based on features and where you purchase. You can definitely notice the increase in the coil count and memory foam, so if within your budget, this upgrade from the standard Beautyrest Recharge is worthwhile. A queen will cost around $1300, with more variability than the others within the line (based on the coil range and type of foam used). The Beautyrest Black is the most talked about mattress from Simmons, definitely targeting the luxury market. Overall people tend to really like the mattress, but if you’re price sensitive it’s going to give you some serious sticker shock. What makes this mattress so fancy? The price on the Beautyrest Black varies wildly based on the options, but don’t be surprised to drop a few thousand dollars at least. The Beautyrest Rechrage Memory Foam Plus ranges dramatically in price depending on options and features, but again expect to pay thousands of dollars if you’re interested. 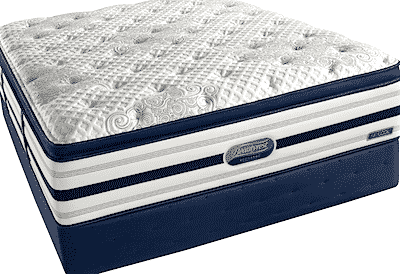 See related article- getting the best innerspring mattress. NOTE: The Comforpedic line was discontinued in early 2015, however many retailers are still carrying them until inventory expires. If you want a memory foam mattress from Beautyrest, I would recommend sticking with the Beautyrest Recharge Memory Foam Plus. The Simmons Beautyrest line is obviously quite varied, and at this point includes most of Simmons’ most popular mattresses. 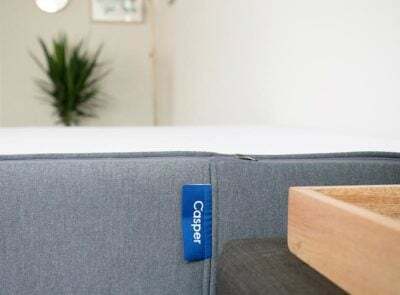 Overall these are some quality mattresses, it will be interesting to see if the Beautyrest line can hold up against many of the new online mattress startups that are trying to match their quality and undercut their prices. If you have any questions about specific mattress options, please leave a comment below or on the specific review pages. And make sure to check out my mattress reviews page for more information on Simmons and other mattress companies. I have the beauty rest recharge world class mattress. I want to get a adjustable bed base and would like to know if I can keep my beauty rest mattress to use with it. As I can not really afford to spend the extra on a new mattress to go with it as mine is only a few years old now itself. Just purchased a Beautyrest Black Natasha Queen plush mattress and box spring. The chemical smell was so strong, we are now on day 3 and still sleeping in a spare bedroom. We replaced this bed with a 20 year old wonderful pillow top Beautyrest, not memory foam. Wish we could have just found another like we had. Both side sleepers mid 50’s, average in size, typically sleep closely, with both of us having aches in hip and shoulder. Any advice? Give it a few more days for the smell to go away. Looking at Beauty Rest Lilmited Edition Firm Eurotop with foundation. What is your recommendation please regarding quality and price? I generally like them but think they value could be a little better. If you try it out and like it, I say give it a shot. I’m struggling through the sea of options (side sleeper, neck/back issues & wife with concerns re; cooling and off gassing) I’m “mostly” considering Brooklyn Aurora & Helix but also, Simmons black. I could get a very good deal on the Black new that almost makes it comparable price wise with Brooklyn, Helix etc. Very much appreciate any thoughts. If you’ve tried out the Black and like it, I would just go with that. Bought a simmons beautyrest in 2009. It was a cushion firm I think…. Had a small pillowtop I think. It was great. Now cant find one. When we got our recent mattress they took our old ones so we cant look at the tag. We recently bought a luxury firm silver Palmer. It’s awful. Sinks too much. This is our 3rd mattress in 6 months. We dont know what to get. We like a little softness on top but firm…..not too firm….help…. Do you need to get a Beautyrest? My mom is interested in the Beautyrest- Recharge-Hybrid-Greenmont Plush- medium firm. But not so interested in the price of $ 1263.20 for a full mattress only- she already has an adjustable base. Can you tell me other names of this mattress or how others have gotten it for half this price b/c of “a different topper” material? I am presently sleeping on a Dr. Hard. I am looking to change my mattress to a king size from a Queen size. The Beautyrest is going to feel more like a memory foam mattress where you slowly sink into the mattress. The Saatva is more of a traditional innerspring feel. Haven’t taken a look at this one specifically yet unfortunately. I’m looking to purchase a mattress for my son (6’1″ – 195 lbs). 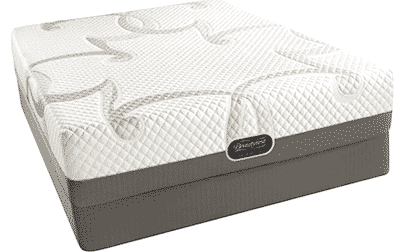 Do you have any info on the Serta Qmatt Palmdale (sold at The Bay)? It is a plush comfort level with 1215 pocket coils (Queen). 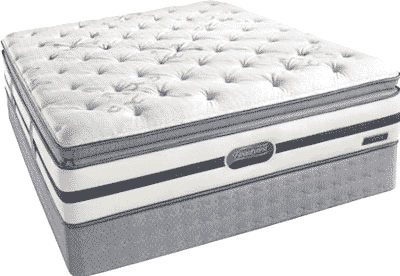 How about the Simmons Beautyrest Platinum Plus Napoli II Plush Comfort Top? Don’t have any info on the Serta. 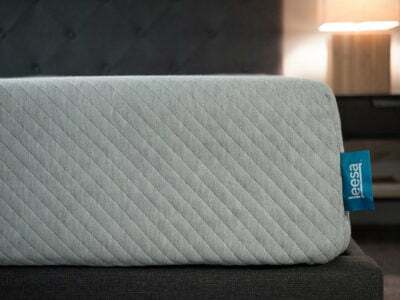 The Beautyrest looks to be a coil-on-coil design with a quilted top and a memory foam layer. The closest to that I’ve seen online is probably the Brentwood Home Oceano. The Beautyrest is high-quality. I would just make sure you get it when there’s a sale going on. Definitely give it a few days to break in and let me know what you think afterwards. I just purchased a Sealy Posturepedic Mattress.. It felt good in the store, but when I actually slept on it.. I was so disappointed.. I was extremely HOT!!! I am going to call the Salesman, and probably have the store pick it up!!!! Can you give me some suggestions??? Sorry to hear that! 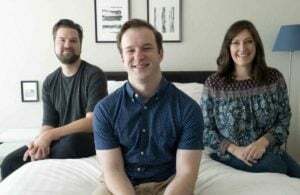 Sure, check out this article, https://www.mattressclarity.com/reviews/best-cooling-mattress-hot-sleepers/. Saw your website and was wanting some direction on where to purchase a soft mattress. I’m mainly a side sleeper (occasionally sleep on my back). My husband is as well. I’ve been tossing and turning all night on our current mattress which is from Tyndall Pedic. I’m not sure if its a medium or firm mattress but i’m waking up in the morning and my QL muscle is tight on the left side. I’m 5’4″ and weigh 118 pounds. My husband weighs about 165-170. I went into Mattress Firm and really liked the BeautyRest Legend Whitfield mattress but it’s quite expensive. I also prefer no off gassing. I have also tried the Tempurpedic Cloud I believe it was called but again very expensive. Can you tell me what may be a good fit for us? Thanks for your help! Sure, check out this article, https://www.mattressclarity.com/reviews/best-soft-mattress/. Do you know if the Beautyrest Black Desiree plush is very soft? I have the Beautyrest Black Desiree Luxury firm and I find it to be too hard for side sleep however it’s ok for back sleep. Can you help? Not sure actually, but by the name I can bet it is. What opinions does anyone have on Beautyrest Legend Preston queen. Thinking about purchase. My husband and I are trying to get some clarity on the Simmons Beautyrest Imperial Collection Brixton. Apparently it’s a new mattress and we can’t find any detailed information on it. Specifically the pocket coil count. Any help would be greatly appreciated. Not familiar with it unfortunately. Hey Joe, I purchased a Beautyrest Black Palatial mattress and within 2 weeks the middle of the bed has become dramatically softer than the rest of the bed. It isn’t sagging at all but as soon as I lay in the middle I sink in very deep. When I lay anywhere else it’s much firmer and slightly rolling me back into the middle. Is this normal or a manufacturing defect? Thanks!! That sounds strange. I’m thinking it might be a defect. I’m not a foam person. Can you give me 3 inner spring firm mattresses to check out? Best bed i ever slept on was at J W Marriott but I understand they’ve changed manufacturers. I’m overwhelmed with all the options. Check out Saatva and Sapira. Bought Beautyrest Bainbridge three years ago at Macys. Want to buy another. Macys says replacement model is called Goldengate, for $809 for twin. Want to price compare to Amazon and other retailers. What are the other names of this same mattress at other outlets? Right now I’m not sure, but I’m going to be coming up with a full list of names at all the stores by the end of the year. I wake up every morning with lower back pain, as day goes by the pain goes away. So i assume this pain is from the bed. I have limited budget could you recommend any mattress for me please. Hi Yoshiko – lots of great beds out there! Do you have any preferences so I can make a more targeted recommendation? You appear to know your stuff about Beautyrest. We live in Hawaii and needed a new mattress, so but one at Slumber World here in Hawaii. It was a BRRC Audrina Firm king. They dilivered it yesterday and we slept on it last night. It was one of the most uncomfortable mattresses I ever slept on. They said we need to try it for 30 days and they will exchange it. What should we get. We’re so confused on all these model names. Cost is no object. I’m even willing to throw this one out and start over. It was only $750 and I don’t think I can last thirty days. Thanks for any advice. The model names are very confusing. Was it too firm? We bought a Beautyrest Oceanside Plush (Silver series) and we are experiencing pain in the morning. I have fibromyalgia and my husband has back issues. We keep calling Ashley Furniture and they say it needs to be broken in and give it more time. We are still within the timeframe of replacing it with a different mattress. The one we got was supposedly soft and it feels extra firm to us. What to do? So confusing in the stores with so many different mattresses and when you try it in the store it feels different when you actually sleep on it at home. I am so confused and upset……….we use to own a sleep number bed and we gave that up to an auction house. Anyway this entire mattress experience has been extremely stressful and after this big move from one state to another it has added much more stress! HELP! Sorry Betty! Not sure what I can do with the Oceanside Plush you already have hehe – let me know if you decide to keep looking and I’ll make some recommendations! Joe…Your article did not mention the Beautyrest “Legend” series. I thought this was a main line. Well, I’m comparing Beautyrest Legend “Preston” Luxury Firm Pillow Top to a Beautyrest Black Mariela Luxury Firm Pillow Top. Which one is better quality? The Preston has 1000 coils compared with 850 for the Mariela. Is this a major factor? Thank you. I just purchased the beautyrest tolliver hybrid and will have it delivered in a few days. As soon as I got home, I decided to do a little research on this $3000 bed to make sure I made the right decision. So far all I can find about Simmons is a lot of bad reviews about the company, the warranties and sagging after a very short time. I have time to cancel this and buy another brand. Apparently this one is new enough that I cannot find reviews except at the mattress firm website (where I bought it) and it has great reviews, but everywhere else all I find is complaints. Am I making a mistake purchaseing this bed? Thanks in advance for any information you can share. I’m on a budget but don’t want to waste money looking for a lower priced mattress … was considering the Simmons Beautyrest Duncan firm full mattress. 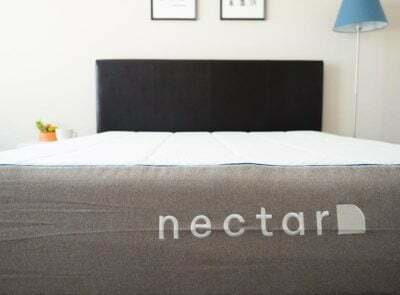 Any advice or review of this mattress? Hi Joe. Can you tell me which Beautyrest Black retail mattress is equal to the Sleep Firm’s Beautyrest Black Hybrid Wellington. It’s ridiculous that the Sleep Firm had their own names. Makes shopping Betty difficult and confusing. 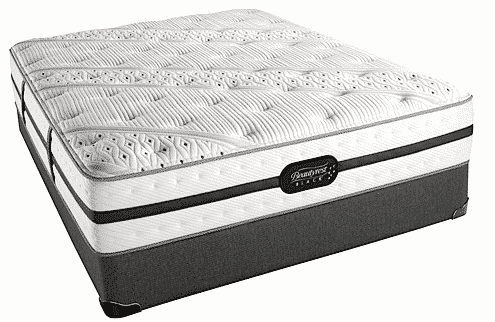 We are currently looking at the Simmons Jennings Hybrid from Mattress Firm and the Simmons Vivian from US Mattress. The price difference is over $1000.00 and we cant seem to find the difference other than the coils. There are actuaully more coils in the Vivian but the Jennings have less but are stronger 3 ply every other coil. Can you help us decide if basically these are the same mattress? We have tried out the Jennings and it was very comfortable. We cannot find the VIvian in our area to lay on to compare. I have disc problems. Bought firm beautyrest with the diamond foam etc firm. I3weeks and doesn’t seem to confirm. Should I have plush or bad for. Ack and stick to firm. Hi Joe I am on my second Simmons beautyrest Hotel Diamond 4.0 High Loft Pillow Top Luxury Firm queen mattress and have only had it 2 weeks and it’s caving. I am the only one in the bed and usually slept on my back. I am frustrated and disappointed to say the least and would prefer to just get my money back as don’t have faith that the others in this line would be any better as week I like a firm mattress due to back issues. I am an averaged size/weight person. What are my options at this point as I will have to have the Brick send someone out again and it will need to be returned. 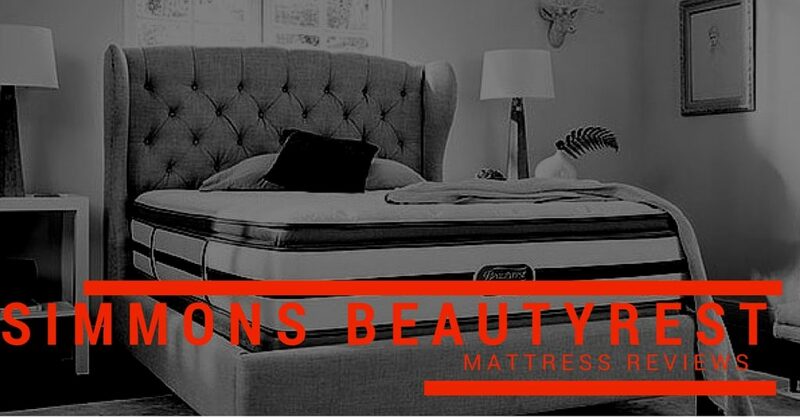 Trying to decide Bellini or Matheson beautyrest at Sears how do they differ/compare? I’m considering buying the Beautyrest Black Katarina Luxury FIrm (pillowtop) mattress, I thought it was very comfortable at the store. My concern is I have neck/shoulder pain, and am a back or front sleeper. Is a pillowtop a ‘bad idea’ for me? I find the real hybrid beds feel kind of odd, that sinking feeling isn’t my thing. Do you think this mattress is a good choice? Hi Debbie – generally I’d say avoid a big pillowtop, particularly if you don’t prefer the feel initially. Sorry, I didn’t explain right – I don’t like the initial feel of the sinking memory-foam. The pillowtop feels good, I was just concerned about how the pillowtop might effect my neck/shoulder, or if that’s a non-issue. The big thing with that type of foam is that it may not hold up as well over time (nothing specific to Simmons, it’s just the nature of this type of foam). So you risk having more dents over time, which eventually changes the feel of the mattress and may trend towards less pressure relief on the hips and shoulders. In regards to the beautyrest bkack hybrid line, I was wondering which mattress is better, firm or plush. I have some shoulder and back issues but tend to sleep in my side, sometimes back. Confused because I think I like firm but want to be comfortable ? Really depends on your preference, typically a softer mattress is better for side sleepers. Hi Joe, thanks for this information. I sleep on my side and I am having problems with my hips. I, and my husband, are thins. I want to buy a Simmons Mattress in Dom Republic (not many options). Which one shoud I buy? The saleman presented the Beautyrest Ashton PIT (but I don’t find it on the web). Thanks in advance for your guidance. so I just purchased the Black Hybrid Mattress queen…. I get very hot cannot sleep . Hi JoAnn – If you’re sticking with the current mattress, best thing to do is change the sheets/comforter (and mattress protector if you have one). All of those have a big impact on sleeping cool as well. So glad I just found your review! We purchased a Simmons Vanderbilt plush new generation 400 pillow top 6 years ago, love it and still looks NEW! Now shopping for a king size in the same product. It has been extremely difficult for all the new model names, levels and different store “names”! Just haven’t found a salesman I trust. They say its a firm mattress. IMy wife and I are bigger people with me weighing in about 250lbs. Are these mattresses any good, or just average, obviously anyone you ask in the store says, Yeah great mattress, but what is the real lowdown. Since it is exclusive to Sleep Country Canada there is minimum information on the net or any other stores? I’m looking to buy a Beautyrest hybrid recharge plush. Jordan’s furnature in MA calls this mattress Sarai and Sears calls what appears to be tested same mattress Messala. If the are both recharge hybrid plush does that mean they are truly the same mattress? Hi Lisa – sometimes they are identical, and sometimes they differ slightly. Unfortunately it’s really impossible to know for sure (they do this intentionally). Antique bed. Need mattress less than 10 inches thick. Options?? Can you tell me the difference between Mattress Firms Black Hybrid Plus Wellington and the Black Tatiana? 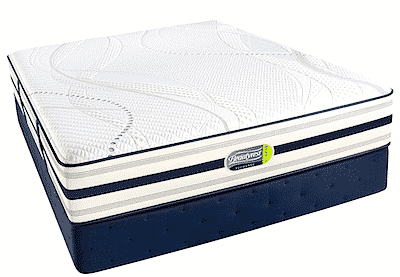 We just purchased the Wellington ($3600 – we caught a sale weekend Columbus Day) and really like it – but wonder what is the comparible on other Mattress Co’s and even Simmons Beautyrest’s own site has the Tatiana as their Top Mattress. Hi I’m thinking about buying the Simmons Beautyrest Platinum Hybrid Kalista Plush but I can’t find any review on the mattress. I’m worried about sagging after a year or so. What is your opinion? Have a pillow top 17 yrs old going to replace it. Looking at Jennings Black Hybrid Plush. I am a side and sleeper. Kinda of expensive but might be well worth it. I need to buy a queen mattress set for a rental property. I also sleep on it during the summer. I’d like it to last. Suggestions? Was hoping not to spend more than 1,000 for mattress boxspring and frame if possible. Or, What about memory foam on a platform? So overwhelmed! 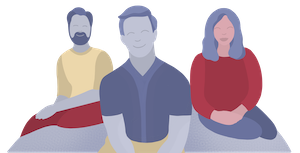 Hi Jean – I would check out my main mattress reviews page as a starting point. Easiest thing to do is find a mattress you like, then buy a frame/platform from Amazon (or another inexpensive retailer). Hey Joe, My husband and I are looking into purchasing the Beautyrest Recharge Hybrid…but can’t quite decide to get the firm or plush. Do you have any suggestions? I was informed there were 4 levels- firm, plush, ultimate plush, ultimate luxury. So technically plush is 2nd in firmness..is that correct? I vote for firm, but my husband votes for way softer. We have a dilemma. Help!! That is correct. If you sleep on your side more, then it probably makes more sense to do the plush versus the firm. It depends on things like your weight as well. I personally wouldn’t say to go softer than the plush. Thanks for the info you have provided, although I am having trouble finding the links to your full reviews of these beautyrest mattresses or your in-depth analyses. We are trying to find find detailed comparison info about the Simmons Beautyrest Recharge Kenosha Place II Plush Mattress from US Mattress.com vs the Beautyrest Allies Plush Mattress from Macys, which are ultimately the same with different names, but would like to know any differences that exist. Any help or information you can reply with would be greatly appreciated, thank you! Those are in the works as we speak. I hope to get them out in the next coming months.